Like any good distiller, Lumsden loves to play with aging his whiskies in different kinds of woods and fooling about with the mash mix. He has a point. Blended whiskies get along without putting an age statement on their highest volume products. The consistency of taste of, say, Pernod Ricard's (PERP.PA) Chivas Regal or Diageo's (DEO) Johnnie Walker is what makes them great and successful. That consistency is achieved by blending sometimes up to 50 single malt and grain whiskeys from as many distilleries. 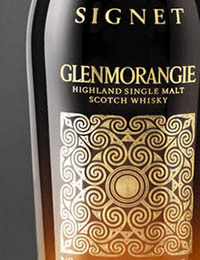 Single-malt distilleries like Glenmorangie blend only their own whiskies to achieve their expressions. 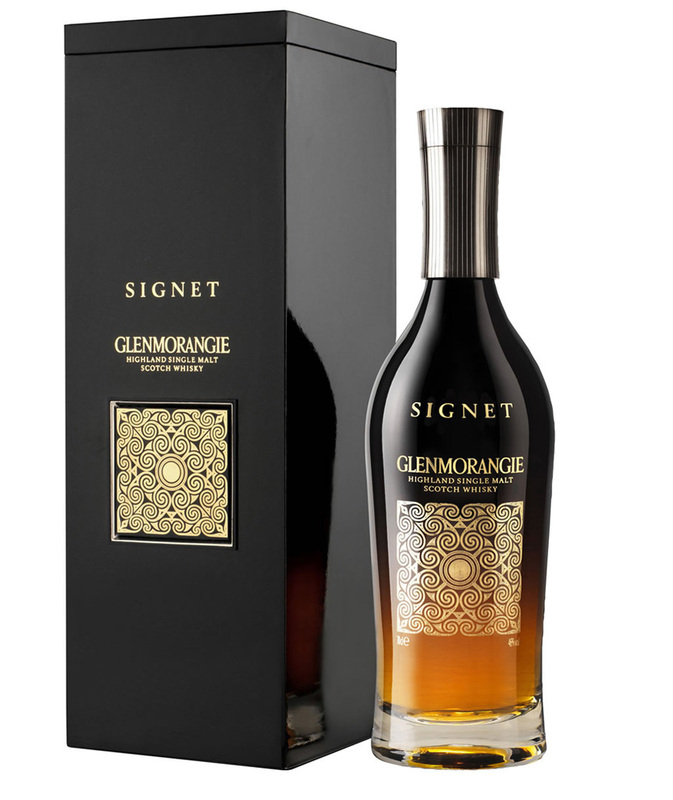 Glenmorangie has just released Signet from Lumsden's laboratory, a non-age stated audacious expression that will run you $185 for a 750 ml bottle. No age statement? The nerve! Is it worth it? I'd have to say, yes. Lumsden, who was still being mysterious about the product last May when we spoke, said it would be a "voluptuous" product. Voluptuous? That makes me think of chocolate, not whisky. But therein lies the secret. Lumsden, who has been tinkering with this whisky for a decade, has married barley grown on the Glenmorangie land with a chocolate malt to create the mash. He has also blended some of the distillery's whiskies of various ages that have been aged in a variety of woods, presumably sherry casks, wine casks, and the like. Glenmorangie SignetDeep in the background of Signet I detect the honey and vaguely mineral taste of Glenmorangie. But then you also get deeper flavors of leather and chocolate that are what sets it apart from the rest of the portfolio. As Lumsden is almost fanatical about creating complex tastes, it is no surprise that I also get a touch of the sherry, as well as a bit of apple and marmalade in my nose. There's even a wee bit of maple. And it makes me wonder if Lumsden tapped a magical mapley barrel I sampled in his storage barn—a 17-year-old that had been sitting in a sherry barrel for seven years. While the taste is pleasing, there is, I admit, the absence of smoothness or a long finish that I associate with longer aging. The difference between a well-crafted and carefully barreled 15-year-old whisky and a 20-year-old is often the added smoothness. Without knowing all the ages of the whiskies Lumsden used in Signet, I'm guessing most of the whiskies were between six and 12 years old, with some younger and older ones blended as well. Lumsden and I spoke last May about the shortage of whiskies aged 15 to 30 years in Scotland these days and the emphasis on whiskies older than 20 years getting the big prices. "This is where, I think, the integrity of a brand, comes into play," said Lumsden. "It doesn't take a genius to leave a whisky in a barrel for 20 years, provided you have chosen the barrel well in the first place." He added: "A good, creative distiller will find a way to make a superior single-malt using whiskies as young as five and six years old." It's an important notion these days. If a distillery puts an age-statement on a bottle, it has to reflect the youngest age whisky used in the expression. So, if Lumsden used whisky as young as six years old (remember some blended whiskies use three-year-olds) and he wanted to use an age statement, he could only use "six-year old" even if there is also 20-year-old Glenmorangie whisky in Signet. The shortage of older whiskies has come about because of lower production of whisky in Scotland in the mid- 1980s to the mid-1990s. But starting in the late 1990s, appreciation of single-malt Scotch spiked in the U.S., Great Britain, Central Europe, Japan, and emerging economies such as Russia, India, and China. Lumsden is not the only one looking to expand his portfolio without being a slave to long-aged whisky. Ardmore, a Speyside distillery, has burst onto the single-malt scene with its first commercial release, called Traditional Cask. Ardmore has long been supplying Teacher's Blended Scotch with its whisky. Two years ago it released its own brand. 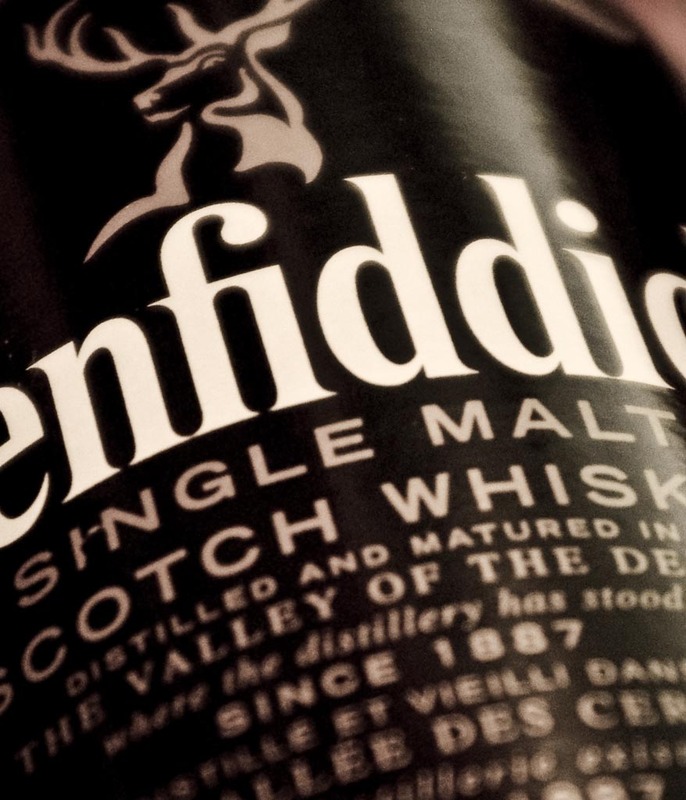 It is noteworthy for being perhaps the only Speyside single malt with a distinctive peaty side. "We will launch age-stated whiskies, but I didn't want the first big product under our own brand to be so narrowly defined," said Alistair Longwell, distillery manager at Ardmore. Traditional cask has a bold nose and lovely taste notes of vanilla and caramel held up by the just-right amount of smoke. The ages of the whisky in Traditional Cask are between six and 12 years. It retails for $45 to $50. Another product due soon without an age statement is from Speyburn, a Highland distillery known for light grassy, honey-kissed whisky. Speyburn's main expression is its 10-year-old, which retails for $22 for a 750 ml. The strategic reason to do it, said the owners, is to give its 10-year-old whisky some room to price higher. In other words, the new product will be priced perhaps at around $16 to $20, allowing the 10-year-old to move up to nearer $30 per bottle. I tasted the new expression, which has not yet been released, which included whiskies aged as little as four and five years. It is, as you would expect, grassier than the 10-year-old. But I liked it, and I recommend keeping an eye out for it. It reminded me of the Ardbeg gambit done successfully by Lumsden when he released expressions of that Islay whisky aged less than 10 years as, among the names, Ardbeg "Very Young" and "Almost There." I think it was a bit easier for a meaty and peaty whisky like Ardbeg to carry it off than it will be for a more subtle Highlander like Speyburn. But connoisseurs are encouraged to work it out for themselves. Bowmore, an Islay distillery, also has a non-age statement product called "Legend." Like Speyburn's strategy, Legend, at about $24 for a 750 ml bottle, is priced less than the distillery's age-stated offerings. The first single malt to come out of Wales in a century also is taking the non-age stated route. Penderyn, introduced in 2004 in Britain and in 2006 in the U.S., carries no age statement on its principal product for which it charges about $70. The whiskies in the bottle are three-to-five-years-olds and have been finished in Madeira barrels for a few months. Master distiller Jim Swan is almost defiant in defending his strategy. "The taste of Penderyn is exactly right and true to our vision, and it wouldn't be if we aged it for 10 or 15 years."